Now a days deities are worshipped and represented by idol. Worship in temples is popular.The deities are also represented by symbols and specially formed diagrams.This is known as Yantra. These yantra are also invoked with deities they rerpesent. Yantra are seat of ccosmic energy.The presence of divine form in yantra is highly potent but requires daily worship and purity.Keeping yantra in House is like serving Devata and seeking his constant blessings. Mantra as remedies are like energising invisible forces acting on interior layers of body engulfing self, but Yantra are often used as weapon to ward off adversities and bring good luck too . In fact Yantra is a supporting device to enhance and accelerate fuilfilment of Objectives by Mantra practise . It is known to few that in house only one yantra can be installed and invoked. 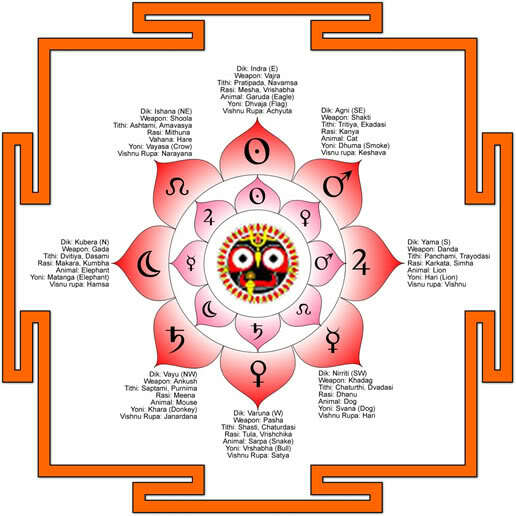 There are prescribed fixed rules in drawing and invoking powers in yantra as well as selecting auspicious time for making them.Like Mantra creative powers of Yantra also are embedded on sound.Drawn yantra is the body similar to temple which is the house in which devata sits on alter. Currently we do not sell Yantra. We prescribe Yantra as remedies as per principles of astrology in specific circuimstances if called for , as remedy in our readings . If we are assigned the task to re examining / second opinion need of particular ritual related to yantra worship based on natal or horary chart,feel free to contact us .